iPhone 4 Review - Learn everything you need to know about the iPhone 4 before you buy. Someone who doesn't like an awesome phone. The iPhone 4G is one of the best phones on the market. Sure some users complain about lack of customization, frequency of dropped calls and a few other petty annoyances here and there, but I quickly remind them that YOU HAVE AN ALL-IN-ONE COMPUTER/PHONE/IPOD IN YOUR POCKET! The phone is well worth the $200 you pay with a new AT&T contract. At .37 inches, the iPhone 4G is the thinnest of its closest competitors (also the easiest to slip out of your hand without a case). The screen is one of the slickest design features on the phone. 3.5 inches is quite a bit of screen, although not as much as others, but what really makes it stand out is the 960 X 640 resolution. Nice thing is, you really don't care about the size of the screen when the resolution is that high. All around, the phone's aesthetics are phenomenal. You'll probably get more friends and you look really cool holding one. One of the major downsides of the phone's actual design has been the placement of the antenna. Since the antenna is wrapped around the side of the phone, people have reported that if they hold the phone wrong, the antenna doesn't work properly resulting in more dropped calls. Another con worth thinking about is the glass backing of the phone. There have been a few reports of cases that slide on the phone actually breaking the backing. Further, the stronger material that Apple boasts the phone is made with, can't compete with a good solid drop on a hard floor. It's worth getting a good case even though it will be bulkier. The camera on the iPhone 4G is another feature not lacking in quality. With the recent release of IOS 4 the camera can now shoot in HDR mode. It takes 3 shots all at different exposures and layers them together to get the best possible photo. HD video recording and simple editing on the phone make it even more attractive. The phone has all of the other features that come standard with the iPhone as well as a few new ones. iPhone 4G has a great looking and functioning e-mail platform, classic iPod features, the ability to print and play media wirelessly, the "Find my iPhone app" and Facetime (allowing you to video chat on your wi-fi connection). Safari has given quite a few people trouble even with the release of a new version. However, there are plenty of other options for browsers in the app store. The batter life officially is about 420 minutes. This turns out to be about 7 hours. Real time use, not putting it on the charger that is, is about a day and a half or so depending on usage. The standby time for the phone is around 300 hours which isn't great but not terrible either. A heavier battery equals a heavier phone. Hardly a con if you ask me. It's fast...really fast. iPhone 4G owners are raving about the speed. So, if you like multi-tasking as fast as your fingers can move, then this is for you. Wi-fi, GPS, Bluetooth, and a one year warranty all come standard. You can buy Apple Care in store $69.99 or on Amazon.com for $49.99. Also, if you are brave enough to risk voiding your Apple Care warranty, you can "jail break" your phone. This allows for new themes, new apps, customization of your home screen, wi-fi tethering and much more. 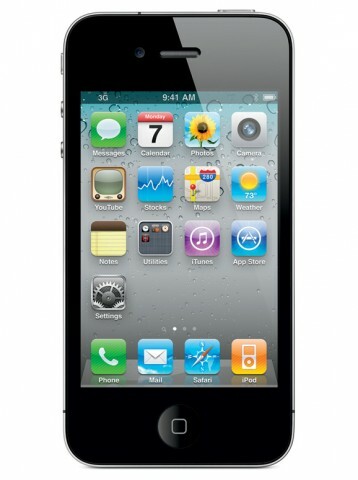 For all the information you want on jailbreaking the iPhone 4G, www.iphone4jailbreak.org is a good source. "Hi Joey! I would definitely rate you as a 10 out of 10! You were very professional and we enjoyed doing business with you. Thank you for the follow up!"